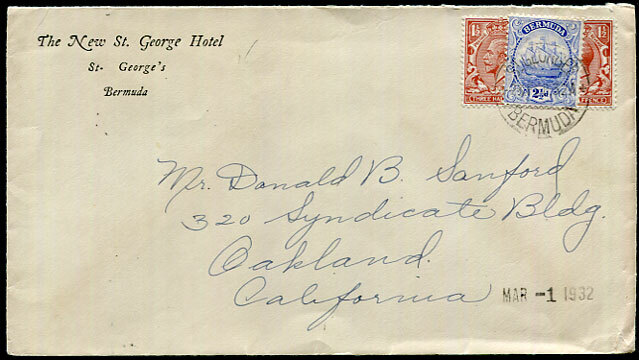 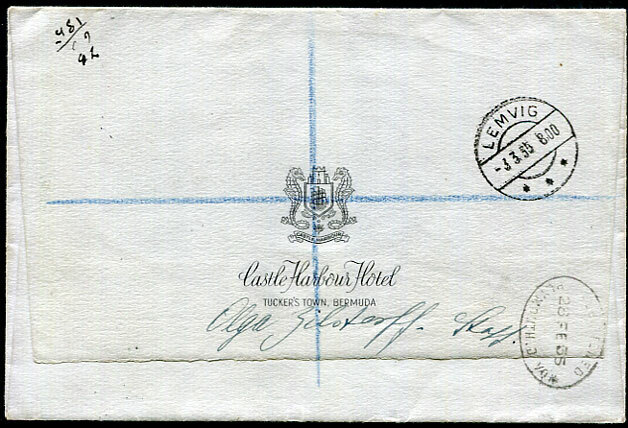 1947 (AP 14) Hotel Fourteen, New York cover with KG6 franking pmk'd St. Georges to Stockholm, some tape marks and opened 3 sides. 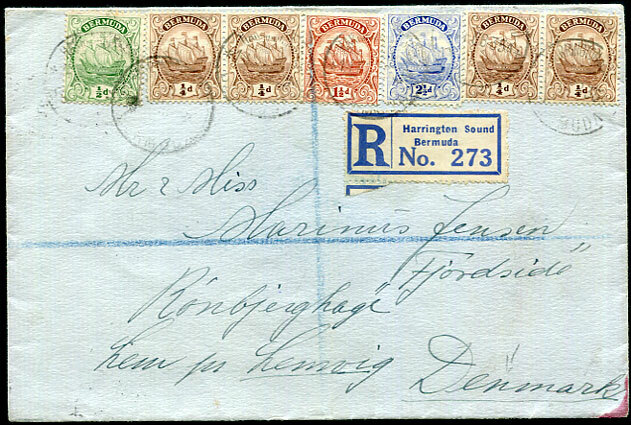 1946 (DE 7) cover with New Windsor Hotel sender address on flap with KG6 adhesives tied AIR MAIL G.P.O. 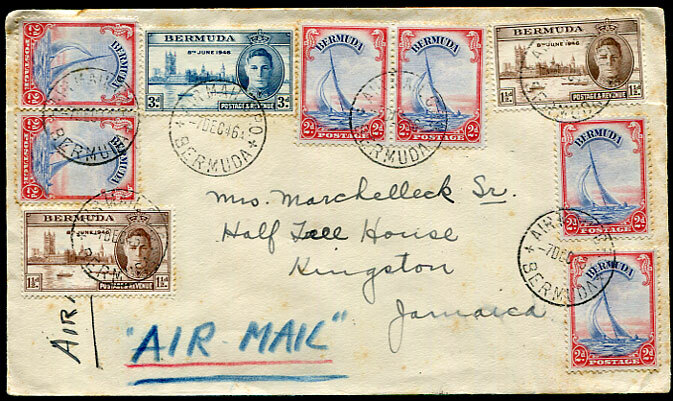 BERMUDA cds to Half Way Tree, Jamaica (DE 11). 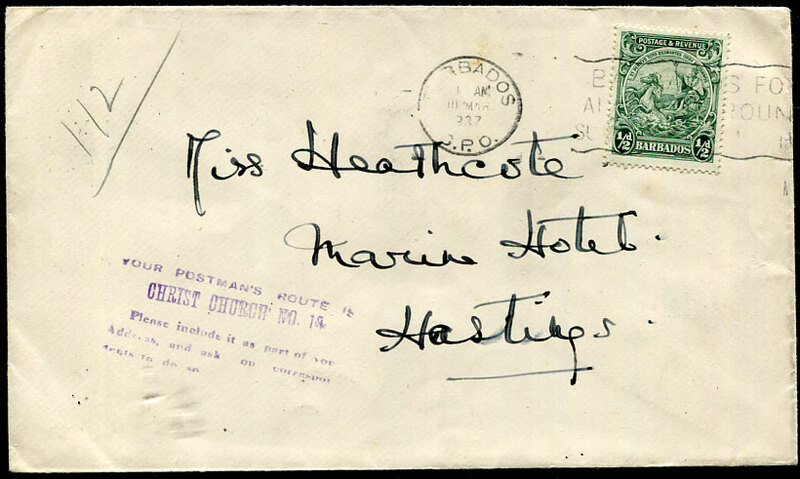 1937 unsealed rate cover to Marine Hotel, Hastings with ½d Badge pmk'd III MAR 1937 machine cancel, purple 5-line handstamp "YOUR POSTMAN'S ROUTE IS/CHRIST CHURCH NO. 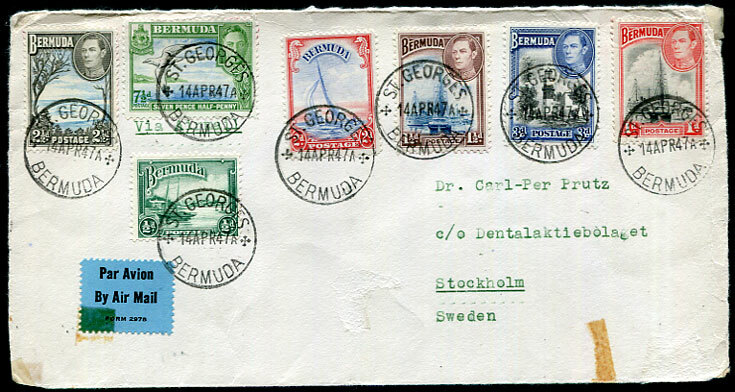 14/Please include it as part of your Address, and ask on correspond/dents to do so (Proud Type 145). 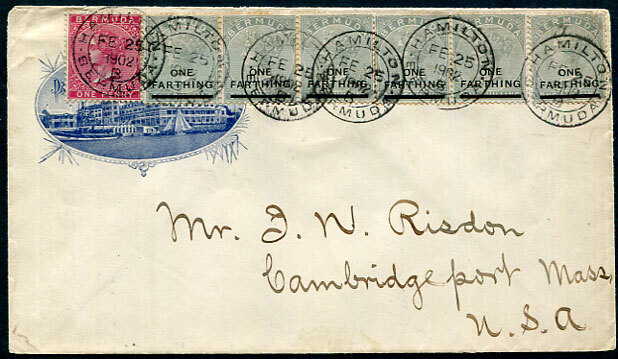 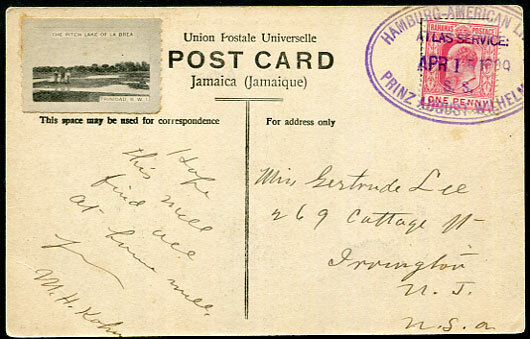 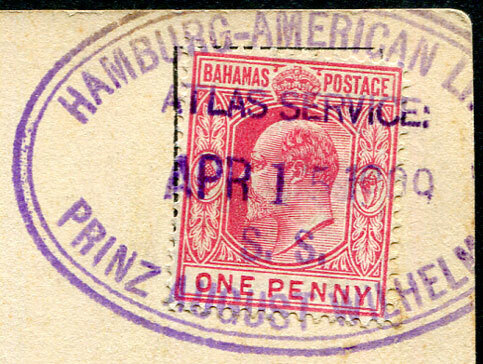 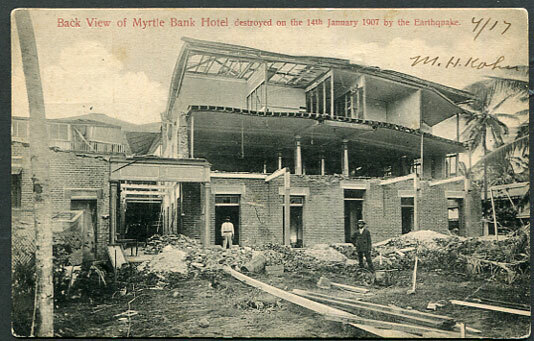 1909 destruction by earthquake of Myrtle Bank Hotel, Jamaica Post Card to Irvington, N.J. with KE7 1d tied purple Hamburg-American Line/Atlas Service PRINZ AUGUST WILHELM d/ring oval dated APR 15 1909, Pitch Lake, Trinidad sticker added by sender. 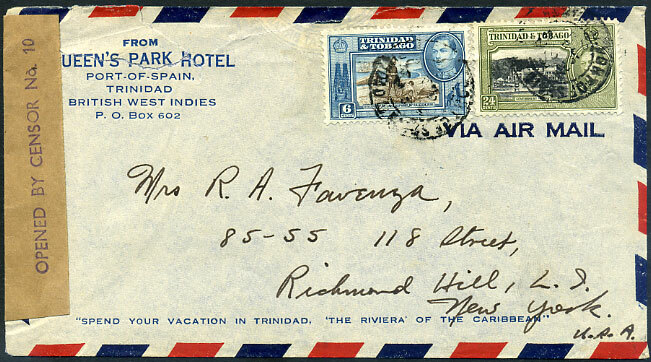 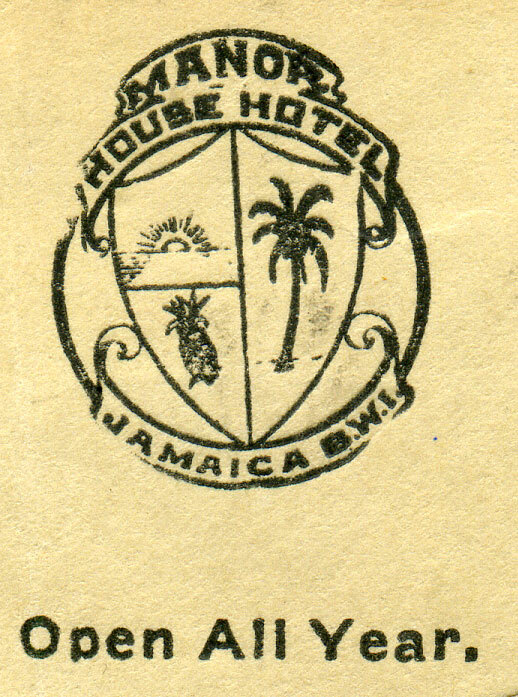 1942 Queen's Park Hotel envelope with handstruck corrected spelling OPENED BY CENSOR No.10 (TR CH 5) with KG6 6c, 24c pmk'd P.O.S. 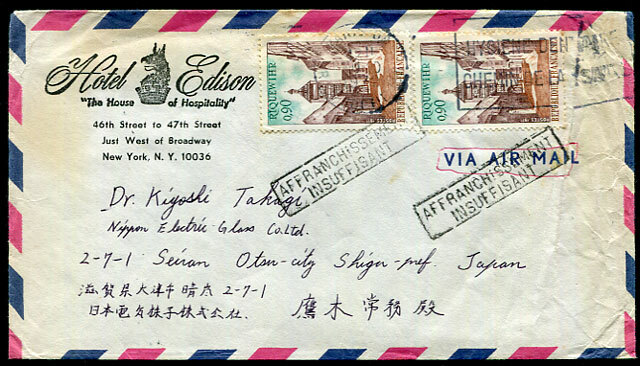 FE 28 42, some opening tears top left. 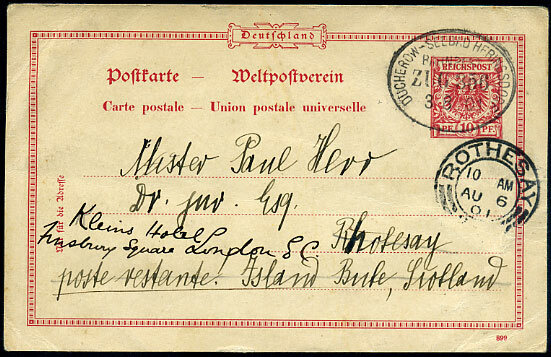 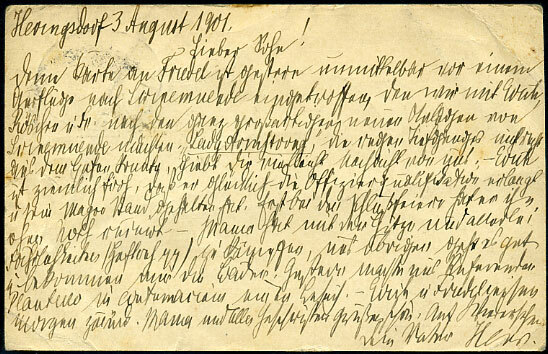 1901 Germany 10pf Post Card pmk'd DUCHEROW-SEEBAD-HERINGSDORF railway oval dated 3.8.01 with ROTHESAY AU 6 01 Isle of Bute arrival, re-directed to Kleins Hotel, Finsbury Square, London. 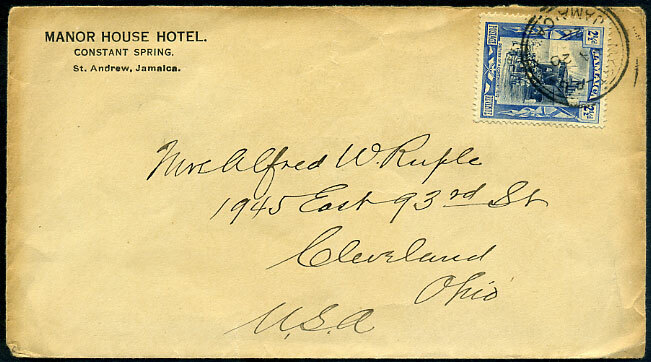 1928 cover to Ohio with 2½d pmk'd MYRTLE BANK JA 20 28, reverse flap with printed arms of colony motif.